I discovered Norman Connors work thanks to an article in Waxpoetics. I bougth on vinyl Romantic Journey, You Are My Starship, This is Your Life and decided to collect his entire discography. I've found Take It To The Limit and Mr. C on this budget two albums on one CD re-issue. 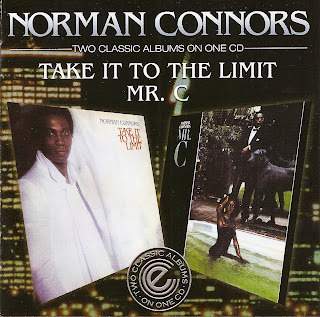 In the sleeve notes, Ralph Tee charaterized those two albums as his personnal Norman Connors favourites. I would share that opinion for Take It To The Limit, a wonderful disco soul record with only scorchers and no fillers that matches Salsoul or Roy Ayers best releases of the time. I'll be a bit more reserved about Mr. C, that makes the funk speak and is still a winner but less good than the other albums aforementioned.